My dad is 78 and works on the floor of a plastic injection molding factory in Leominster, Massachusetts. His forearms are scarred in places where they accidently bumped into hot machinery. About ten years back he had a stroke. He was lucky, it left with a slight limp and a tremor in his left hand but he was still able to continue working. He’s worked hard all of his life and made some difficult decisions in order to ensure that his two daughters would have a better life than he did. 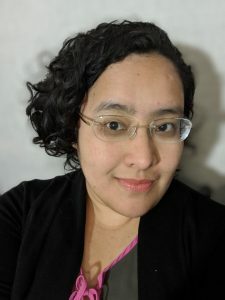 Thanks to the foundation my father laid for me, I was able to get a job with the State of Oregon, where I’m paid a good wage — it’s not a lot, but enough to get by — and we have excellent benefits. Most importantly, I have a retirement plan, which means that one day I’ll be able to rest. This is something my father will never have. Like most blue collar Americans, my dad will work until he dies; retirement is not an option for him. Until recently, I was in the same boat. Sure, I managed to save a little bit of money in 401ks, but when making $15/ hour the little bit of money saved didn’t amount to a retirement. It’s not an overstatement when I say that my union job has changed my life. My job is different than my father’s job. I have a union. Together, my coworkers and I have the strength to lift ourselves up, raise wages, and fight for good benefits. It’s been life changing. The Supreme Court recently issued a ruling that will weaken labor unions. I’m sticking with my union because together we have power at work and strength at the bargaining table. 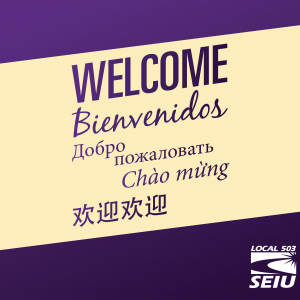 If you look at the history of my union, SEIU 503, the value we provide to so many is clear. 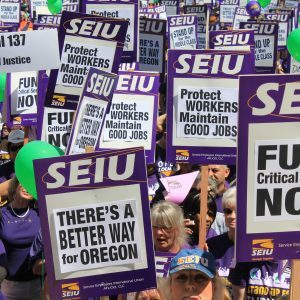 In 1999, in-home care providers joined SEIU 503. Over the next 20 years, they fought to be recognized by minimum wage laws — it’s astounding that they weren’t before. They saw their wages go from around $3 per hour to $14.75. 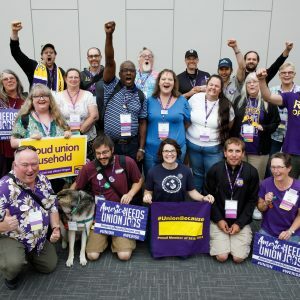 Our union then created a trust that provides homecare workers with healthcare plans. Imagine providing in-home healthcare for 40 hours per week but not being able to afford it for yourself. That was the reality for many before our union. Over the years, my fellow union members fought to protect public employee retirement plans. 250,000 Oregon families rely on these plans. Additionally, unions fight for better wages and benefits. Strong unions are particularly effective at it. Wages in many parts of Oregon are just now eclipsing pre-recession levels, but they’re not keeping pace with the soaring cost of housing or the rising cost of healthcare. Today, one in three Oregon families struggles to afford housing. Nationally, two-thirds of seniors have no retirement savings. It’s clear: America needs union jobs. I’m sticking with my union, and I’m confident most union members will do the same.